North Jakarta Maritime Agriculture and Food Tenacity (KPKP) Sub-dept. 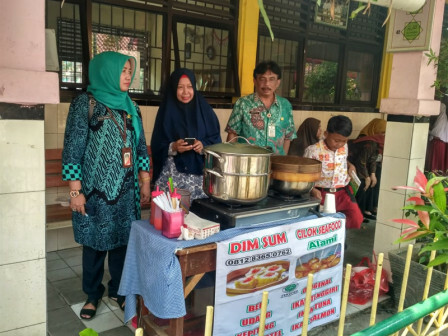 tries to cooperate with schools to distribute Kelompok Tani Nelayan Andalan (KTNA)'s healthy food products thus it can be sold in school's canteen.
" We have agreed to try selling their products in some schools in North Jakarta"
North Jakarta KPKP Sub-dept. Head, Rita Nurmala mentioned, there are around 70 KTNAs who are active in North Jakarta. "We have agreed to try selling their products in some schools in North Jakarta," she said, Friday (9/28). Products that will be sold in schools are siomay, fish meatballs, dimsum, processed drinks from lemongrass leaves, bir pletok, and other agricultural and fishery products. According to her, KTNA's effort is considered quite effective to enhance community economic development. Thus her side will try to facilitate them in integrated entrepreneurship program. "They sell their products while we are campaigning about eating fish at SDN 01 and it is quite a good result. Later, we will try it in other schools," she stated.